Who hasn’t wanted to write a comic book about themselves at one point or another? 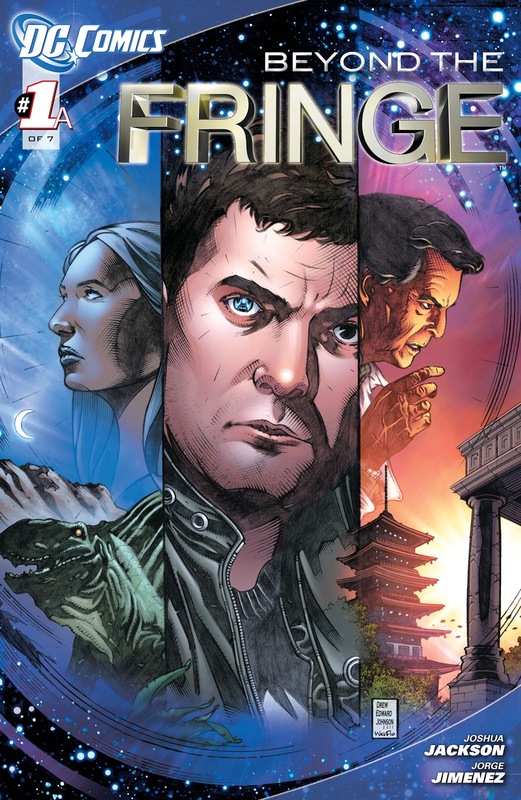 Well actor, and now author, Joshua Jackson has done the next best thing and penned a spin-off comic called Beyond The Fringe that explores key events of his character Peter Bishop’s life that occurs between seasons three and four of his hit television show Fringe. The first in the series, ‘Peter and the Machine’ is a mind warping tale of time-travel so complex it rivals even the best of the classic Star Trek space time continuum conundrums. Although it must be odd to write a book that will feature a protagonist that looks just like you, actually that must be really cool, Joshua does a wonderful job of tackling the difficult components of a particularly heady Fringe script that the show is so famous for. Time-travel is tough but writing about it is even harder, well done Josh. Possession takes on a whole new meaning in this heart pounding conclusion of Salem’s Daughter: The Haunting. Gunslinger Braden and foxy brunette Lettia take on a giant mob of spikey faced evil townsfolk in a desperate attempt to save Anna. Little do they know there are darker forces at work lurking in the barren wasteland that traps souls between earth and the afterlife who will stop at nothing to return to the world of the living. 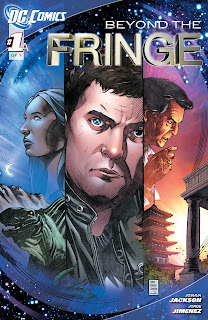 All is not as it seems as good and evil spirits fight to reclaim their rightful bodies in the most exciting possession story arc since Invasion of the Body Snatchers. All Alec Holland knows is that he is in pain. 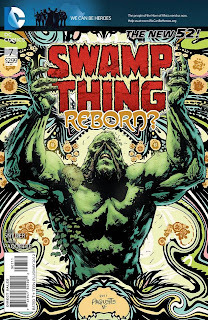 In Swamp Thing #7 there is no shortage of detailed gore and psychedelic foliage as Alec finds himself trapped by the smarty pants elder trees who have spared his life only to force him to die a painful death alongside the dying green. The totally gross, yet strangely beautiful, storytelling of dream team Snyder and Paquette follow the trial of Alec Holland as he tries desperately to convince his plant brethren not to give in to the malicious Rot that threatens to destroy them all. 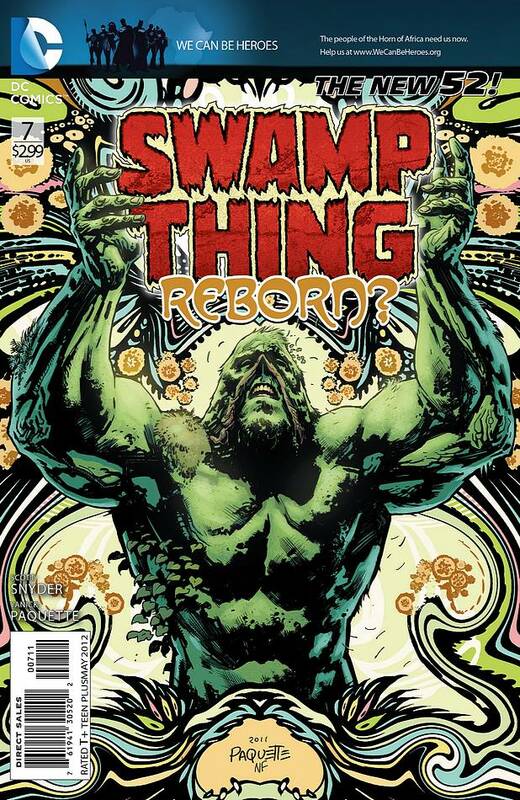 One little sip of the “Bio-Restorative Formula” and The Green may have a fighting chance with Swamp Thing on their side and maybe Alec can save his lady love Abigail from a fate worse than death. After this issue, you’ll never look at your fern the same way again. Despite his tough exterior, even Goon was once a helpless baby. In The Goon #38, everyone’s favorite comic book tough guy’s past is revealed in a heart breaking story that follows the life of his aunt Kizzie and how she came to ultimately take baby Goon into her care. Cursed with the body of a husky lumberjack and a gap in her teeth that would make Lauren Hutton cringe, Kizzie was constantly made fun of as a child. When finally she is engaged to be married to a man who doesn’t seem to mind her unfortunate appearance, the poor girl is wooed away by a shifty carnie with questionable motives that put in motion a series of even more unfortunate events. In a life of struggle and despair, the angelic face of a cooing Goon baby finally gives Kizzie the hope and purpose she has always sought after. The previews are out for Marvel’s landmark issue #50 of the Hulk and boy does Red Hulk look angry! “The Red Hulk didn’t get out of that Venom story unscathed,” explains Jeff Parker. “Something followed him out of hell and it's going to make the supernatural territory of Marvel break open and swallow our anti-hero whole!" 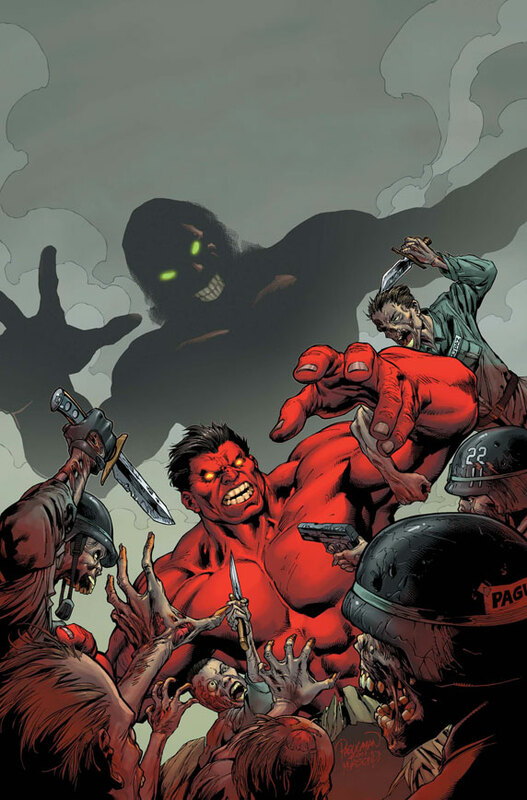 "This arc puts Red Hulk in the paranormal hot seat,” adds Marvel Comics Senior Editor Mark Panicca. “Hulk #50 is a gamma-powered, poltergeist-packed issue that’s a joy ride through Marvel's darkest side." 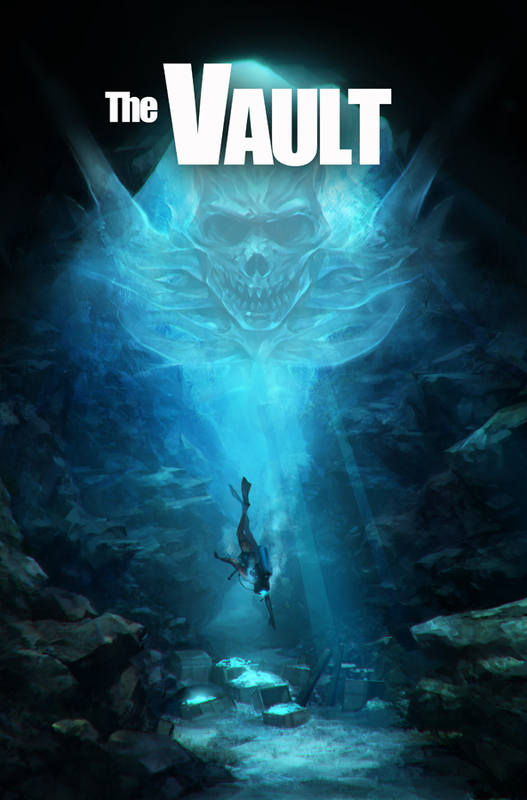 The trade paperback of The Vault was released by Image Comics this week. 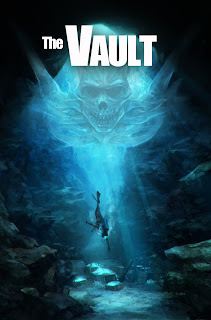 The story follows a small team of ambitious treasure hunters as they excavate an underwater treasure pit on the eve of a looming massive storm front. Weather, however, turns out to be the least of their problems when the crew unknowingly unearths an evil buried and forgotten in the vault long ago.